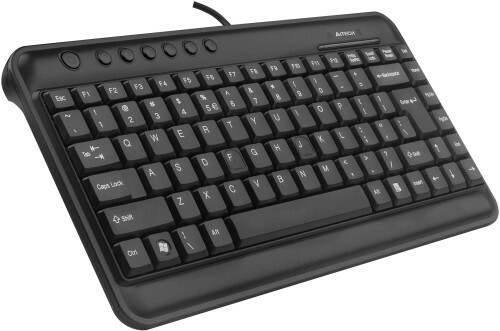 A great quality compact USB keyboard at a very attractive price. 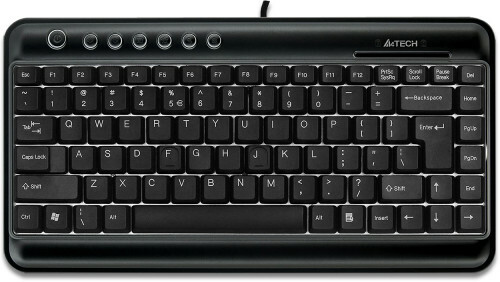 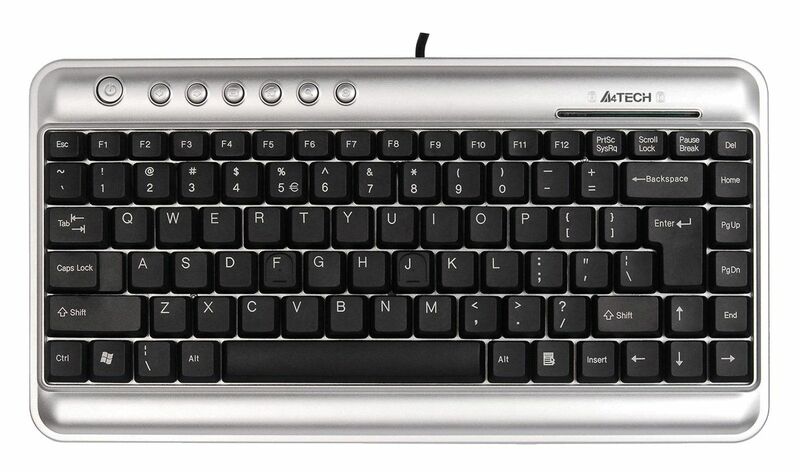 The A4Tech KL-5 Mini Keyboard is a great solution for anyone needing a convenient USB keyboard in a compact package. The omission of a numeric keypad along with reorientation of the cursor and navigation keys saves a large amount of desk space and is perfect where space is at a premium such as in server cabinets or retail environments.